The south Indian delicacies like dosa, sambar, utapam, have become very popular. Not only south Indian people but everyone loves to eat the south Indian food. If you are staying in Nagpur or have come to the city for visiting the place, there are many south Indian restaurants that can go for the indulgence. Sagar Ratna, which is one of the popular chains of south Indian food in the country, is also present in Nagpur. Here you can get some of tastiest food like dosas of different types such as paper dosa, butter masala, paneer and many others. Lately Sagar Ratna has also launched some different types of dosas like chocolate and spring roll dosa. If you are going to this restaurant, make sure you try one of their new dosa. Here you can also find combo meals which can give you the ease and convenience of saving money and getting more. The interiors of this restaurant are also very good. During the weekends you might have to wait to get a seat in this restaurant. The evening timings are also quite crowded. Apart from north Indian food, they also offer Chinese and North Indian delicacies. Do if you wish to order the same, you will get it here. The desserts are also quite tasty such as gulab jamun. Krishnum restaurant in Nagpur is famous for south Indian food. It is one of the leading chains of the city and you can be sure of having a good time here. The South Indian menu of this restaurant includes some distinct types of dosas, which you might not find anywhere else. To name a few, here you can have noodles dosa sizzler, mushroom dosa, roasted cheese dosa, American corn dosa and many others. They also have the concept of giving away packed thalis for schools, corporate, offices and banks. If you want to take away from here, you can easily get it done in about 15 to 20 minutes. They serve thali parcels, snacks and north Indian food along with south Indian food. You can also have a taste of Chinese appams and the salsa dosa here. 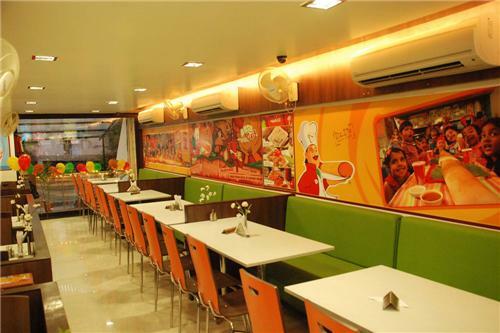 Dosa plaza is also a big chain which has its restaurant in Nagpur serving mouth – watering south Indian food. Here you can indulge in south Indian snacks, main course and tasty dessert. Here you can also enjoy combo meals which are cheap in rate but yummy in taste. The ambience of the restaurant is also very nice. 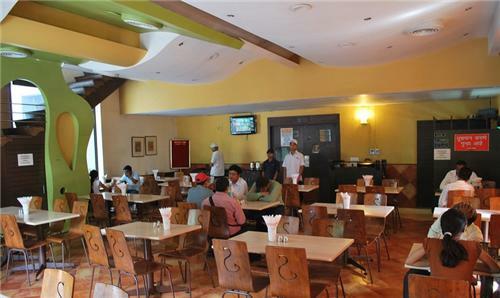 An evening dinner with family and friends at the dosa plaza can be a day to remember. You can try out a lot at the dosa plaza, ranging from thin and crispy dosa to traditional dosa, Chinese fusion dosa, spicy dosa like chilly paneer dosa. Apart from all this, they also serve Russian salads dosa, Mexican style dosa, paper dosa. They also have healthy uppams and Chinese style idlis to offers its customers. A dinner at the dosa plaza can be worth the money spent.